A heather style cooler basket that puts your logo in the spotlight. An outstanding cooler bag that features the newest "heather style" trend. It's woven with different coloured fibres to create this attractive two tone look. The basket has a capacity of 16L and hosts a strong aluminium frame and carry handles with comfortable rubber hand grips. Inside there is a PE foam insulation encased in a waterproof PEVA lining along with a zippered top opening. 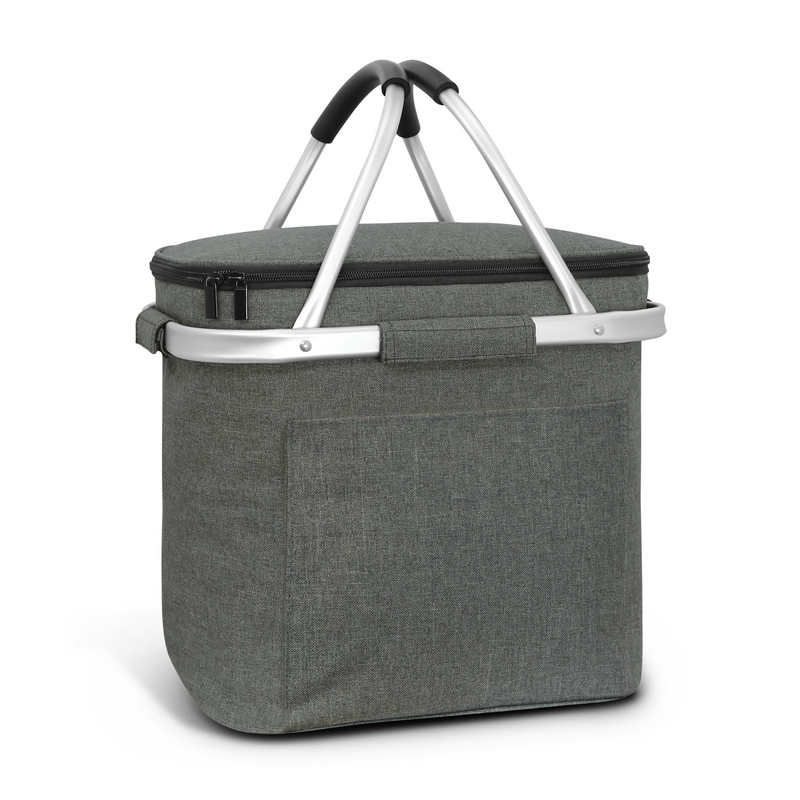 The basket also has a slip pocket on the front and when not in use the frame folds flat for easy transportation and storage. A great cooler bag for any occasion!